The lives of notorious bad guys, perpetrators of mischief, visionary–if misunderstood–thinkers, and other colorful antiheroes, jerks, and evil doers from history all get their due in the short essays featured in this enlightening, informative book. 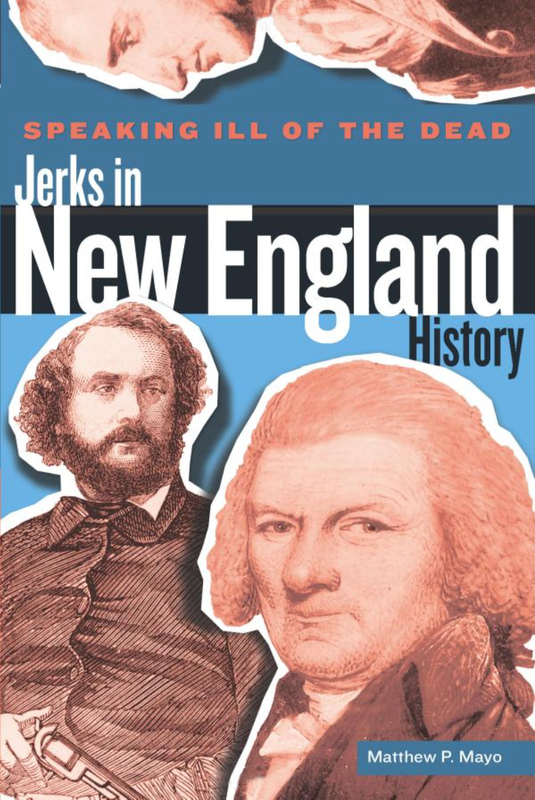 Award-winning author Matthew P. Mayo’s Speaking Ill of the Dead: Jerks in New England History features twenty short biographies of nefarious characters, from Charles W. Morse (serial monopolist, cheat, liar, and swindler!) to Emeline Meaker & Mary Rogers, otherwise known as the Vermont’s Lady Killers! Take a peek–you won’t believe the depths of jerkiness to which these nefarious New Englanders stooped!